If you’re looking to update one wardrobe item this summer – I suggest looking into hopsack. I share my thoughts on why it’s one of my favourites below. 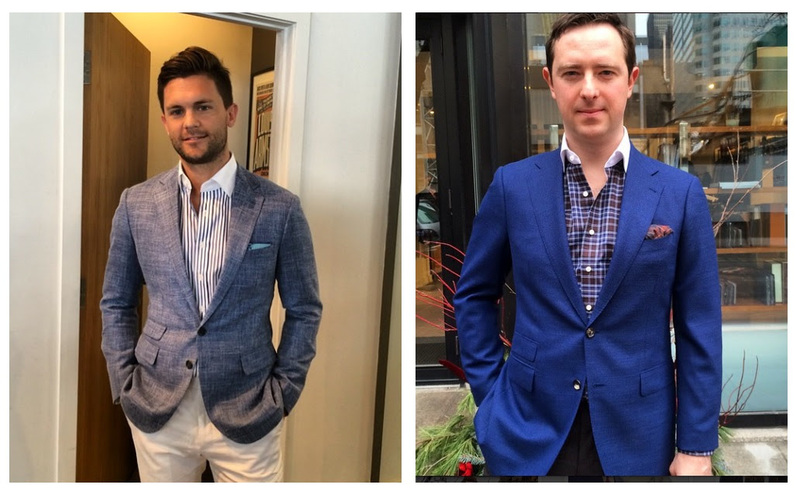 The Hopsack Summer Blazer…or Blazer Suit! I was reflecting with a client recently on what the perfect modern workhorse travel suit is (of course a heavier weight wool with a smooth high twist texture is always the classic standard), but a very strong and unique alternative (especially in warmer weather) is hopsack. Hopsack has been a favourite fabric of mine to tailor up for many years now. It has a basket weave texture (a method of weaving fabric that has been around for decades), which creates a very cool look and feel. 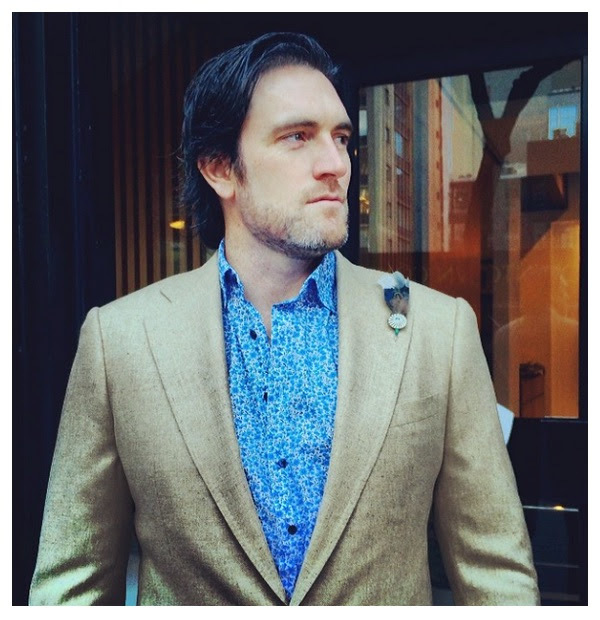 I use hopsack year round for sportcoats— it’s my go-to pick for a sporty classic navy blazer. 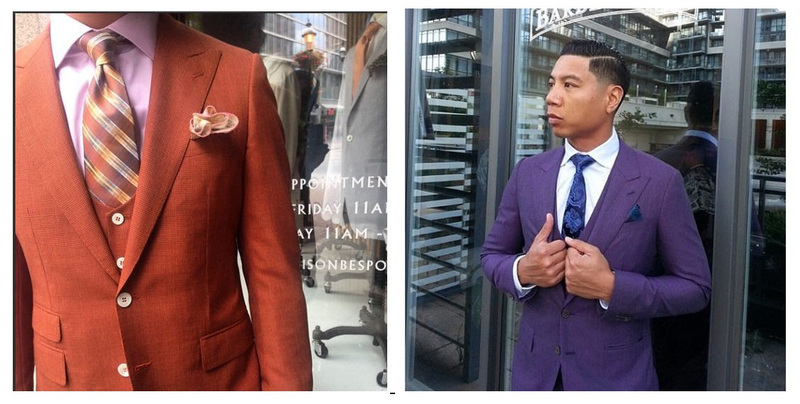 But in a full suit it becomes a really sharp summer suit, I think of it like a summer tweed. It makes up into what I call a blazer suit; meaning it can be worn as a full suit, a blazer or a great Summer pant on its own. Very lightweight and breathable. The open weave lets air in to cool you down in the summer, but at the same time the weave makes it look heavier than it is so you can cheat wearing the suit into the cooler months. When wearing the jacket on its own, the coarse texture makes it feel more sporty so when you wear it in warm weather it creates a more casual look. Its naturally wrinkle resistance due to the woven texture.